Dr. Mavrich, originally from Pittsburgh, Pennsylvania, completed his undergraduate degree of Animal Sciences at Pennsylvania State University. After graduation, he worked as a veterinary technician at AVETS (veterinary emergency referral center) for a year before beginning veterinary school. 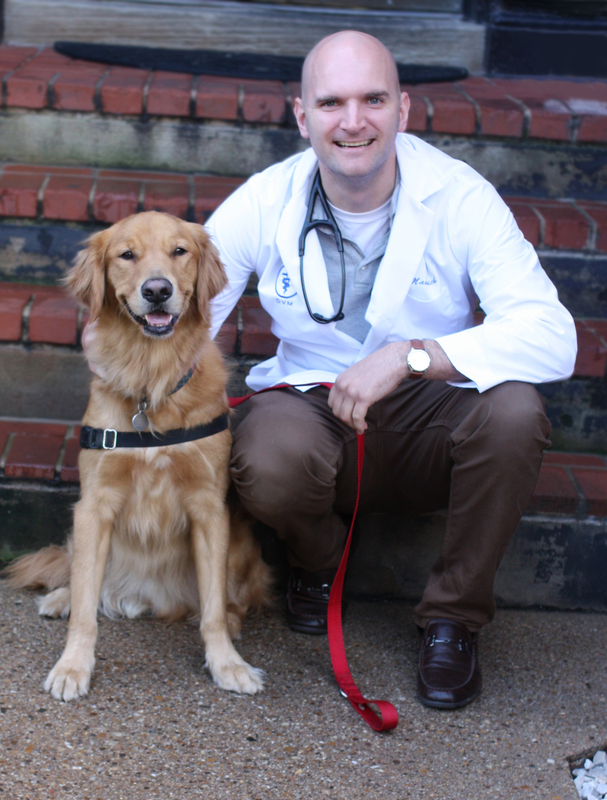 In 2013, he graduated from the Virginia Maryland Regional College of Veterinary Medicine. He worked as a staff veterinarian at a hospital in Alexandria, VA before moving into Washington D.C. His diverse skill set and experience made him a welcome addition to the Dupont Veterinary team in 2015. In his free time, he enjoys cooking, running, hiking and watching all of his hometown Pittsburgh sports teams. He has his hands full with recently rescued Cooper, a lovable golden retriever puppy. Check out Mav’s Corner for informational videos and articles with advice and tips for caring for your pets!